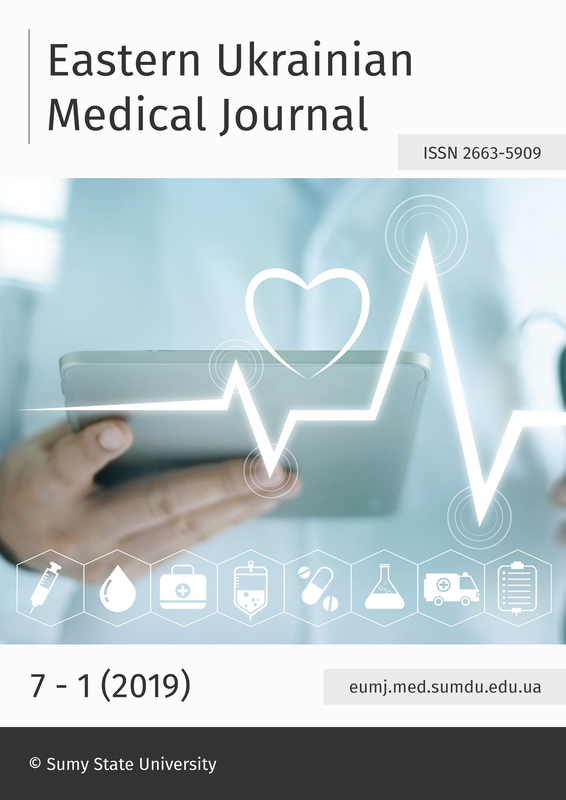 "Eastern Ukrainian MedicalJournal" is a peer-reviewed journal publishing original articles that deals with different fields of modern experimental and clinical medicine. "Eastern Ukrainian Medical Journal" is a periodical of the Sumy State University, published under the terms of the Creative Commons Attribution 4.0 Global License. © 2019 Copyright, "Eastern Ukrainian Medical Journal". All Rights Reserved.